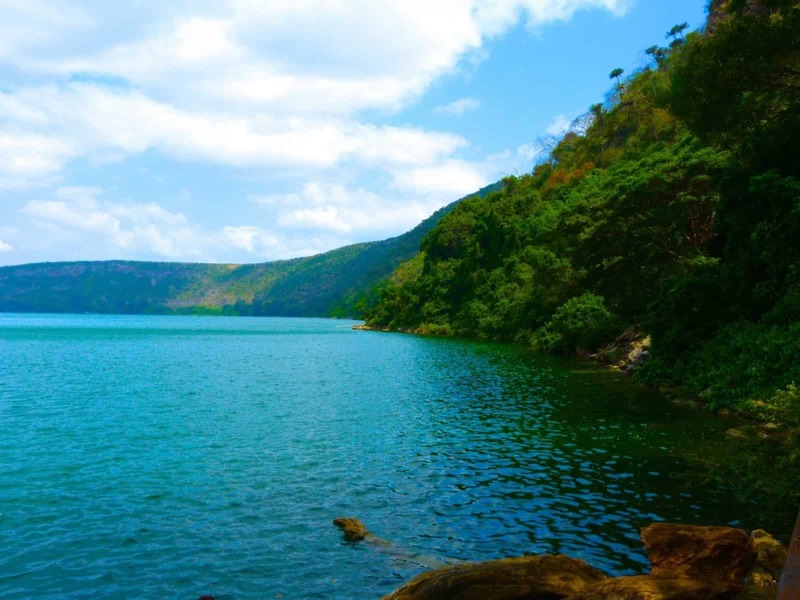 The tranquillity and peace of Lake Chala seem a thousand lifetimes away from the bustle of Moshi town, but it’s actually only an hour’s drive away, so perfect for a day trip with a difference. 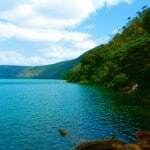 Lake Chala is a caldera lake fed by clean, cold underground streams from Kilimanjaro itself, and it’s renowned for its gloriously changing colours; from deepest turquoise to emerald green to azure and all colours in between. It’s a perfect place to relax and unwind and you’ve the choice of hiking the picture-perfect countryside around the lake, swimming in its sparkling waters (don’t forget your cozzie!) 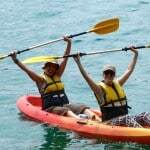 or kayaking across the border to Kenya. Or all three! It’s a day full of getting up close and personal to one of the greatest (and quietest) treasures of Tanzania. 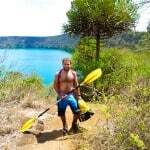 Your friendly guide will arrive at your accommodation armed with your tasty packed lunch. 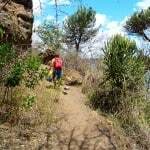 Then he or she will bustle you into the transport and drive you to Lake Chala Safari Camp. On the way you’ll journey through the everyday life of Moshi and on to the freeway, and you can spend a relaxing, comfortable hour-and-a-bit taking in the sights. 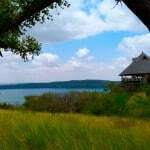 Lake Chala Safari Camp is a beautiful private game reserve overlooking Lake Chala. You’ll arrive there and our guide will take you down to the lakeside, through vividly green flora, with the blue, blue lake ahead of you. It gets quite rocky near the lake so wear sturdy footwear. 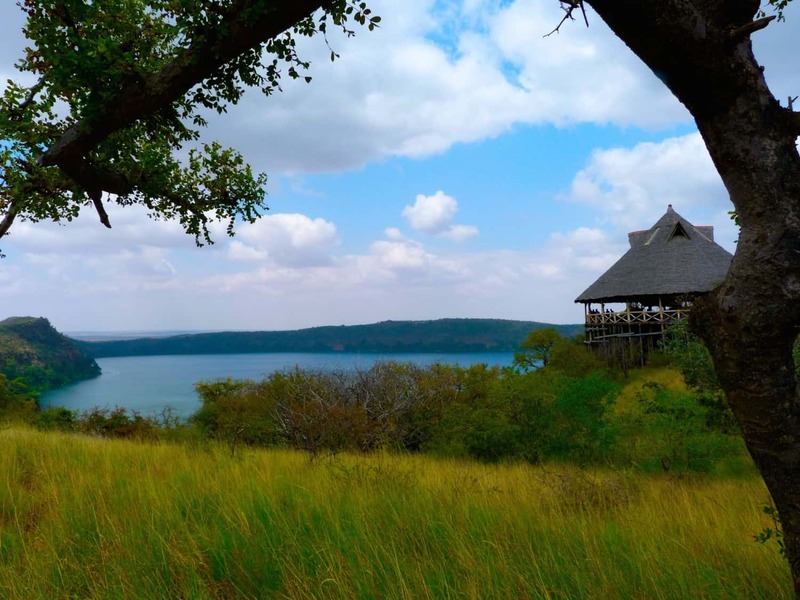 It’s a stunning area perfect for hikers and birdwatchers, and in season you might be lucky enough to spot elephants gathering at a distant waterhole. 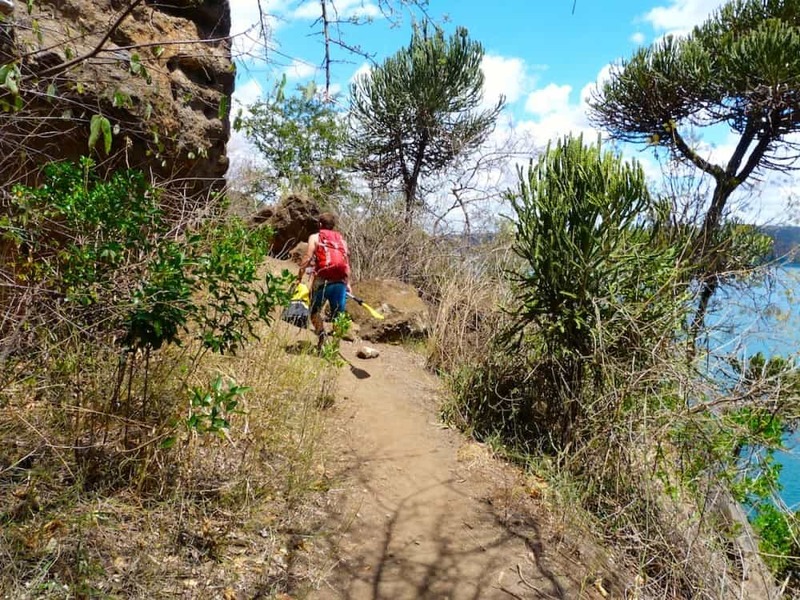 Spend the day wandering the paths around the lake or across the nearby savannah, where you’re likely to see baboons, vervet monkeys and blue monkeys as well as (perhaps) the shy dik-dik and graceful kudu, too. After your hike, spend some time sitting by the lakeside enjoying the stillness, only disturbed by birdsong and the gently lapping waters. 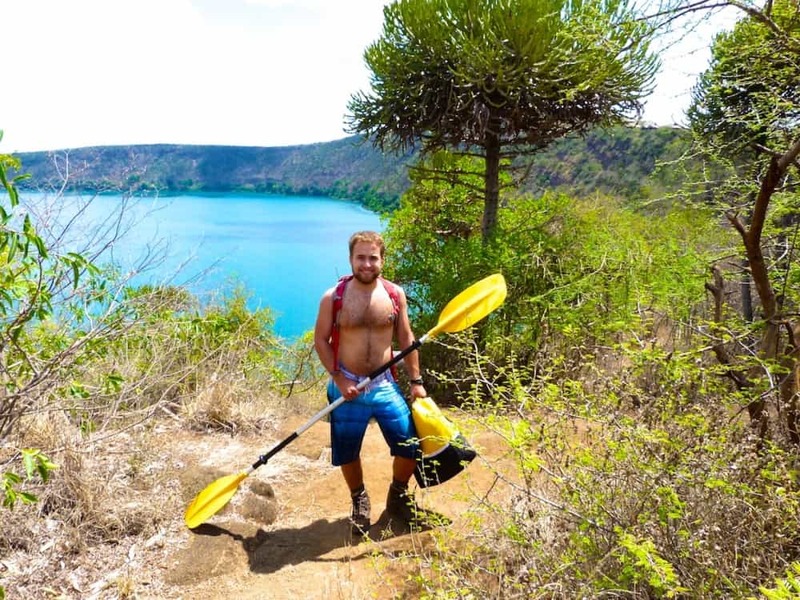 If you’re feeling a little more active, you can jump into a kayak and explore the lake further. 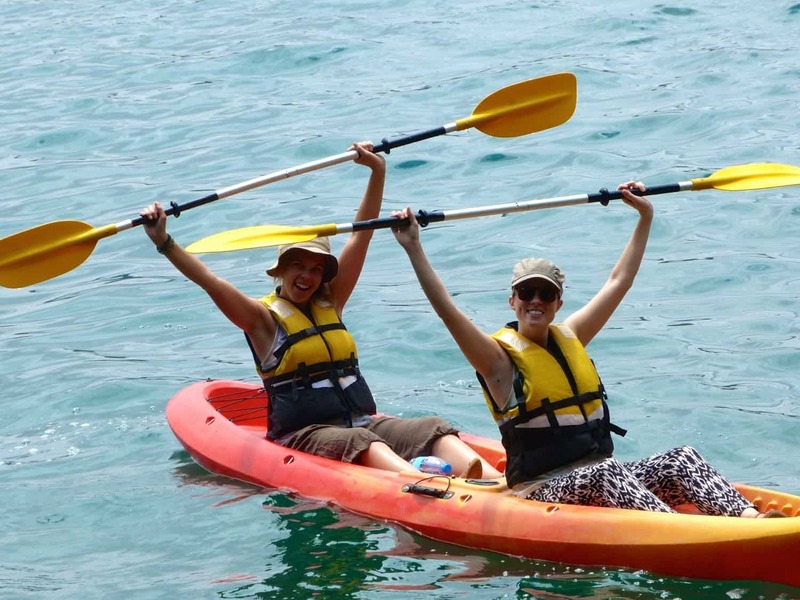 You’ll be serenaded by the ever-present birdsong and gentle plashing of the water as you row. After your adventures, stop at the bar for a drink (alcoholic or otherwise) and, if you’re a little peckish, an afternoon snack. If you haven’t opted to camp at the Lake (think campfire under the star-filled heavens), you’ll be driven back to Moshi in the late afternoon. The pleasant drive will give you some “you” time to reflect on your day and wonder if it would be rude to go straight to bed when you get back – you won’t believe how tired you’ll feel after a day of restorative, stress-relieving peace.